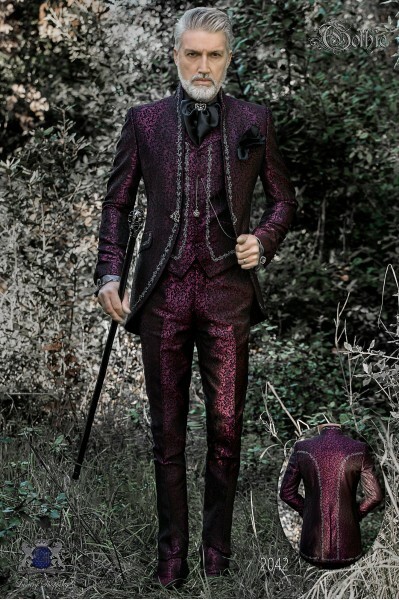 Colour gothic There are 16 products. 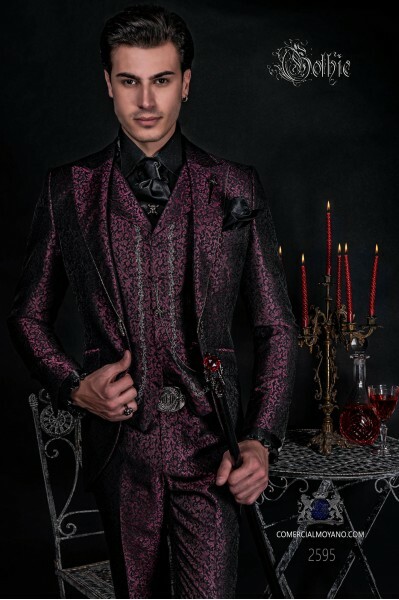 Vintage Men wedding frock coat in red brocade fabric with Mao collar with black rhinestones, tuxedo wedding suit 2602 Ottavio Nuccio Gala Gothic collection.It comes with a suitcase bag Ottavio Nuccio Gala. 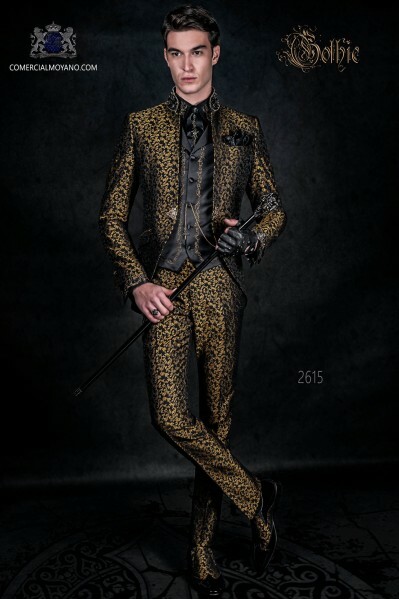 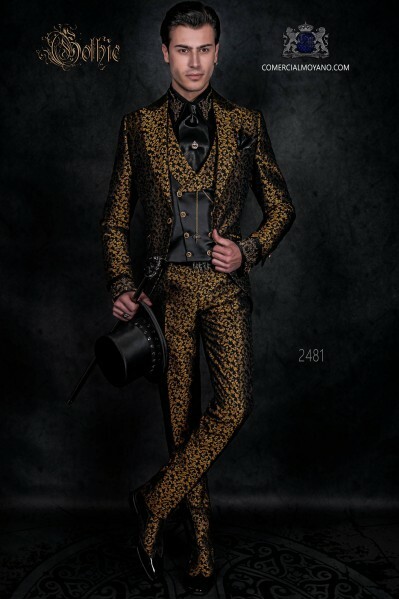 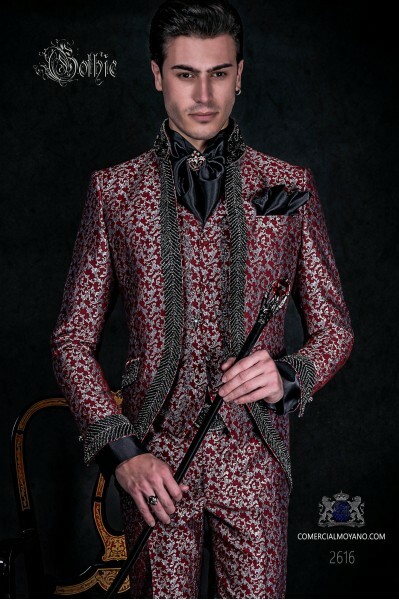 Vintage Men wedding frock coat in black and gold brocade fabric with Mao collar with black rhinestones, tuxedo wedding suit 2615 Ottavio Nuccio Gala Gothic collection. 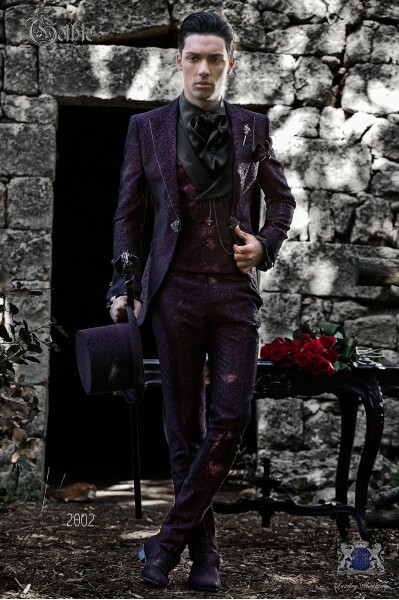 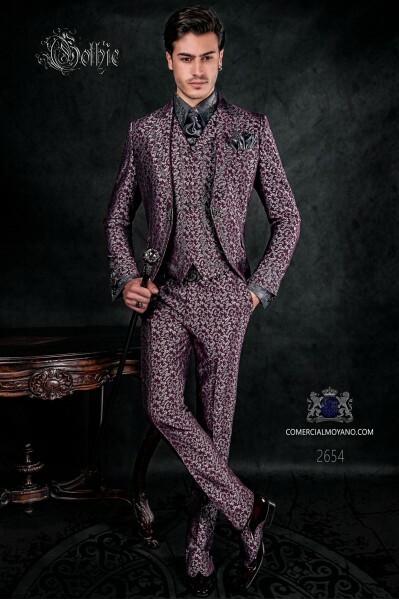 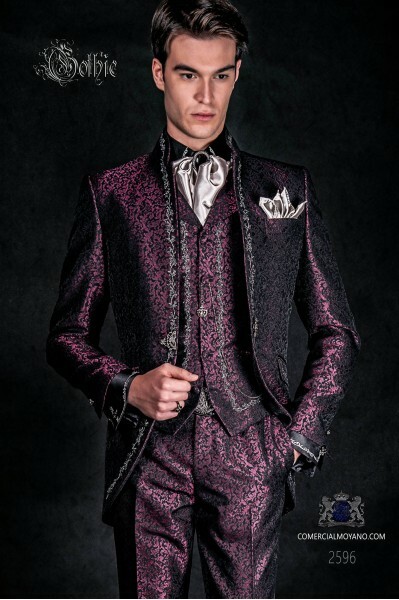 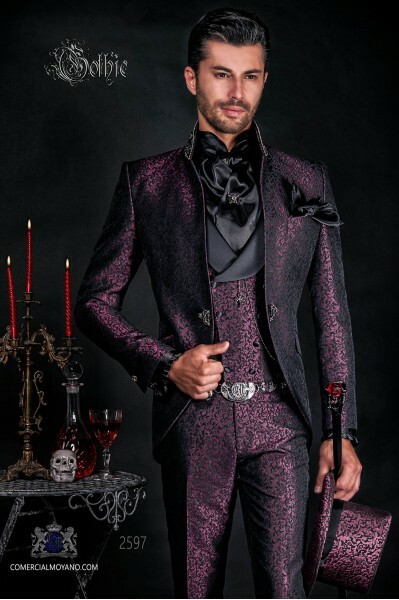 Vintage Men wedding frock coat in purple-black brocade fabric with Mao collar with black rhinestones, Tuxedo wedding suit 2597 Ottavio Nuccio Gala Gothic collection. 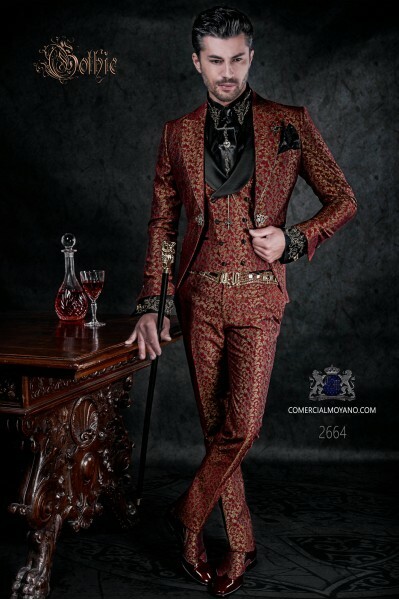 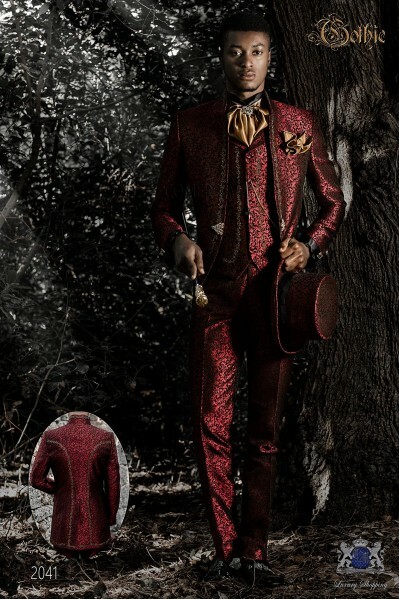 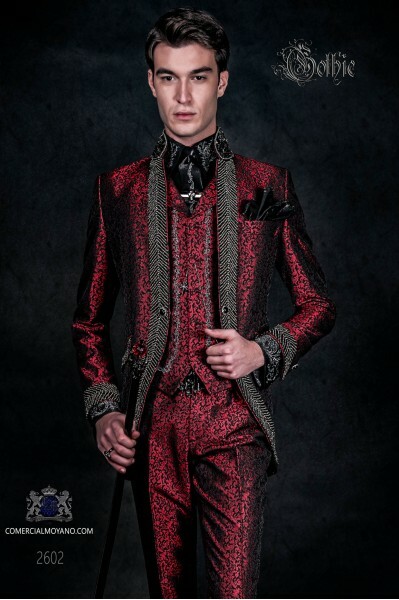 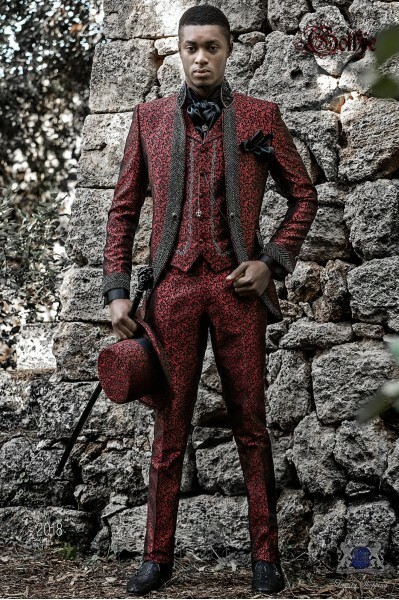 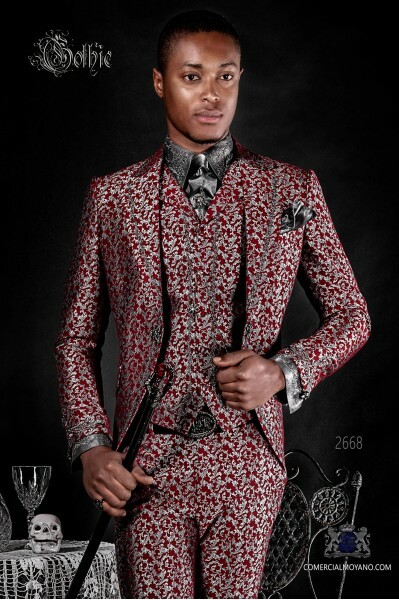 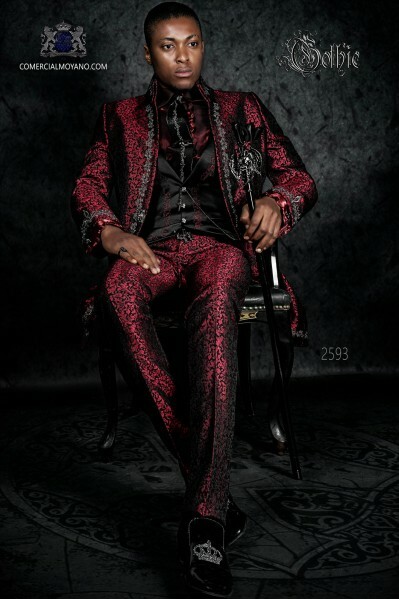 Vintage Men wedding frock coat in red and silver brocade fabric with Mao collar with black rhinestones, tuxedo wedding suit 2616 Ottavio Nuccio Gala Gothic collection.It comes with a suitcase bag Ottavio Nuccio Gala. 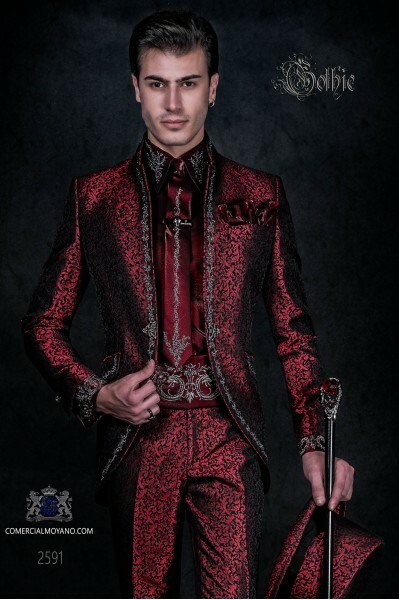 Vintage Men wedding frock coat in red brocade fabric with Mao collar with black rhinestones, model nº:2018 Ottavio Nuccio Gala Baroque collection.It comes with a suitcase bag Ottavio Nuccio Gala.